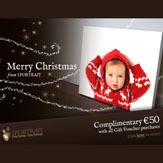 This gift voucher gives you €500 worth of photo services from 1PORTRAIT's photographic studio at PLUS €100 of additional services for free PLUS a complimentary gift sized print (7x5inch). The 1PORTRAIT studio session runs for up to one hour. This time can be used to photograph a variety of different setups e.g. family, children photographed individually, with siblings, with parents, grandparents etc. All images taken can be provided in colour or black & white. 1Portrait photographic studio is based in Dublin, founded by award winning photographer Bryan Brophy. 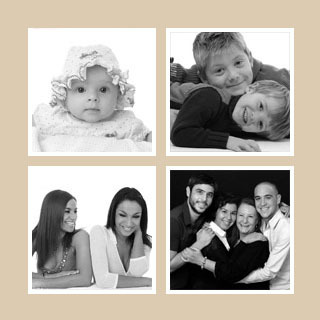 We specialise in photographing babies, children and families of all ages.